And today the Prime Minister Peter O'Neill in a press statement said he welcomed the purchase. “I welcome the investment by Puma Energy in Papua New Guinea worth more than one and a half billion Kina,” the Prime Minister said. “Puma Energy’s investment in Papua New Guinea is more than a capital investment, the company will bring with it expertise that will deliver further benefits to the economy. “As a company that operates in 45 countries and has more than 6,700 employees, Puma Energy has a wealth of knowledge and experience that they will apply in their PNG operation. “Puma will retain its more than 700 workers already employed by InterOil in its current refinery and downstream businesses. This is welcome news for these workers and their families, and an indication of how we anticipate Puma will approach their expansion plans in the years ahead," Mr O'Neill said. ABC radio reported that Puma has bought InterOil's Napa Napa refinery, its 52 service stations and 30 fuel depots, terminals and aviation sites, taking control of the companies on Tuesday. 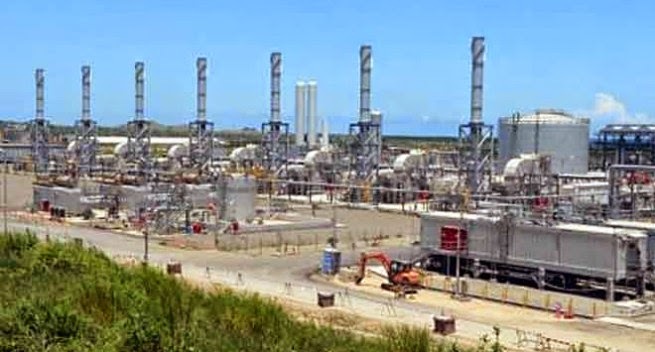 "InterOil's Chief Operating Officer Jon Ozturgut said in a statement the deal to sell PNG's most accessible gas reserve will free up capital to invest in developing PNG's second major gas project. "The transaction immediately provides additional capital to fund our upstream and LNG business," Mr Ozturgut said. "We believe this is in the best interests of Papua New Guinea and our shareholders," the radio reported. Puma's PNG Manager Ray Taylor says the company plans to expand the refinery and grow its distribution network. Mr Taylor says PNG's deepwater ports offer potential for it to grow as a supplier to the Pacific and even northern Australia. "PNG obviously has the growth aspects to the market here, we've already seen significant LNG development and there's more to come," he told Pacific Beat. "There's a lot of minerals in the ground and therefore we see this as a good growth market for the group, but also from a regional sense, PNG is blessed with some deep water ports which are ideal for bringing product and breaking bulk and supplying the greater Pacific and even northern Australia so for us it's an important part in the regional supply pattern." Mr Taylor said there will be no job cuts in the transition. "For just about everybody it means no change, we bought the companies therefore the terms and conditions remain as they are," he said. Mr Taylor says Puma's purchase of the refinery and subsequent breaking of InterOil's monopoly of the PNG fuel market may not necessarily push down heavily regulated petrol prices. He says while the majority of sale will be into the PNG market, the company would look at selling in the greater Pacific. "It's about selling into the PNG market but allowing in some cases the import of product from overseas that we can use as a set of bulk-breaking operations to supply smaller markets nearby, but predominately what we'll be doing here is investing in the refinery for supply into the PNG market." Mr Taylor says the refinery has high capacity, with yields of up to 36,000 barrels per day, and says Puma will consider the potential to expand and further develop the refinery.